Step 2: Mount a stand leg with the two stand leg bolts from step 1 and washers onto stand post and tighten. Tools Needed: 5/32" Allen wrench. Step 3: Repeat steps 1-2 for each stand leg. Step 4: Loosen the two mending plate secure bolts fastened to the extension fence strut rail just enough so you can slide the mending plate off the rail. Tools Needed: 3/8" Allen wrench. Step 5: Remove the mending plate from the extension fence strut rail. Step 6: Remove the two mending plate secure bolts securing the mending plate and the mending plate nut. Tools Needed: 3/8" Allen wrench. Step 7: Place the mending plate nut at the first two slots on top of the EZ Speedy Fence strut rail and the mending plate on the bottom of the EZ Speedy Fence strut rail at the same slot locations. ​Step 8: Screw in and snug two mending plate secure bolts from the bottom of the mending plate to secure the mending plate and mending plate nut to the EZ Speedy Fence strut rail. Step 9: Set the mending plate nut back by approximately 1/16" from the end of the EZ Speedy Fence strut rail, and then center the mending plate and mending plate nut. Step 10: ​Fully tighten the two mending plate secure bolts connected to the EZ Speedy Fence strut rail. Tools Needed: 3/8" Allen wrench. 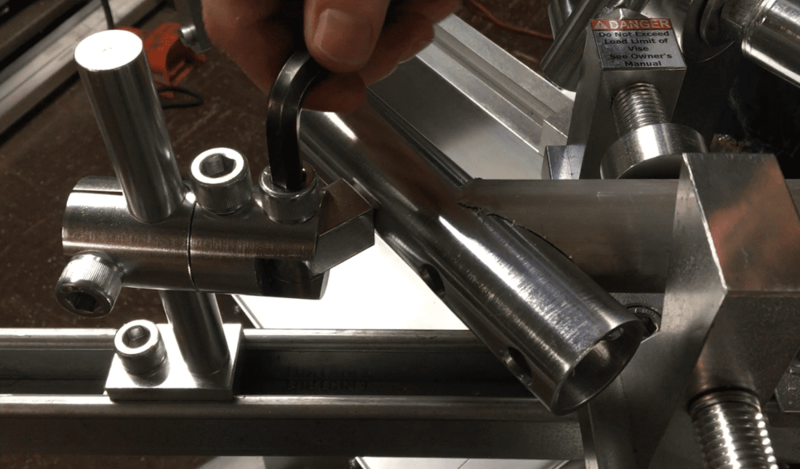 Step 11: Loosen the cross-secure bolt on the stand hex mount. 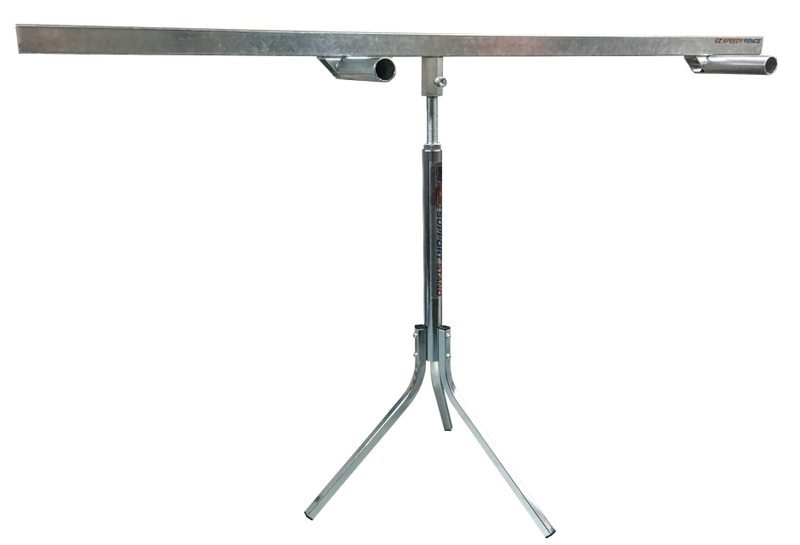 Step 12: Place the extension fence strut rail onto the stand post by inserting the elevation rod into the stand hex mount. Step 13: Loosen the elevation jam nut from the stand post. Tools Needed: 10"+ crescent wrench. Step 14: Roughly adjust the height of the extension fence strut rail by twisting the elevation rod to match the EZ Speedy Fence strut rail height. Step 15: Slide the two mending plate secure bolts connected to the extension fence strut rail into the open slots on the mending plate. ​Step 16: Snug the two mending plate secure bolts connected to the extension fence strut rail from Step 15. Step 17: Finely adjust the height of the extension fence strut rail by twisting the elevation rod to match the EZ Speedy Fence strut rail height. Then align the extension fence strut rail and the EZ Speedy Fence strut rail to make them parallel. Step 19: Fully tighten the elevation jam nut down to the stand post to lock in the height of the extension fence strut rail. Tools Needed: 10"+ crescent wrench. Step 20: Fully tighten the cross secure bolt to complete set-up. Tools Needed: 3/8" Allen wrench. For anyone cutting long material with our EZ Speedy Fence this EZ Speedy Extension will sure come in handy. Includes one Flip-Away Strut Stop. Each fence can be assembled in either LH or RH configuration as desired. The newest system to come out of the CFS shop. Made for the DW723, DWX723, and DWX724 DeWalt Miter Saw Stand, our EZ Speedy Fence slides right into the T-track and quickly locks down to the stand with our patent pending EZ Speedy Mounts. 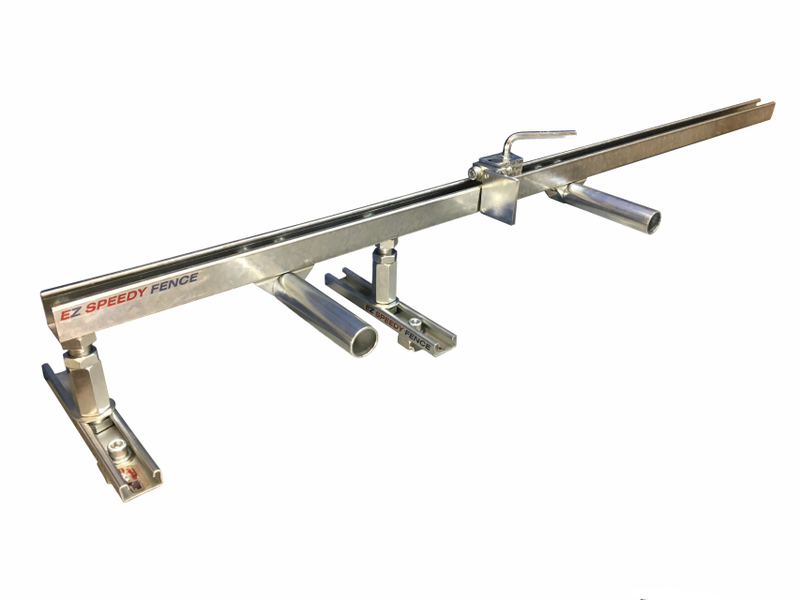 The EZ Speedy Fence has multiple points of adjustment to set the height, depth, lateral position, and angle of the EZ Speedy Fence. 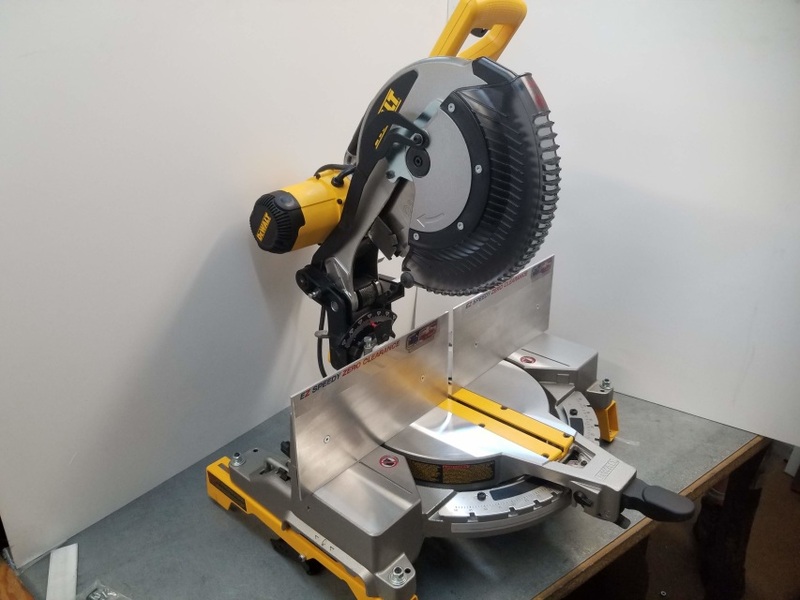 ​Once the points of adjustment are set to your saw table, they are locked down so you can easily remove the EZ Speedy Fence from the DeWalt stand, put everything into your vehicle, and head out to the job site without losing your position. If you are looking to increase the safety and precision of your cuts then our Zero Clearance Fence is the perfect product for you. No more small pieces jamming into your standard fence and binding your blade. For greater accuracy, efficiency and safety, we recommend pairing our Zero Clearance Fence with our Zero Clearance Table Insert.